Back to school time can be so stressful. 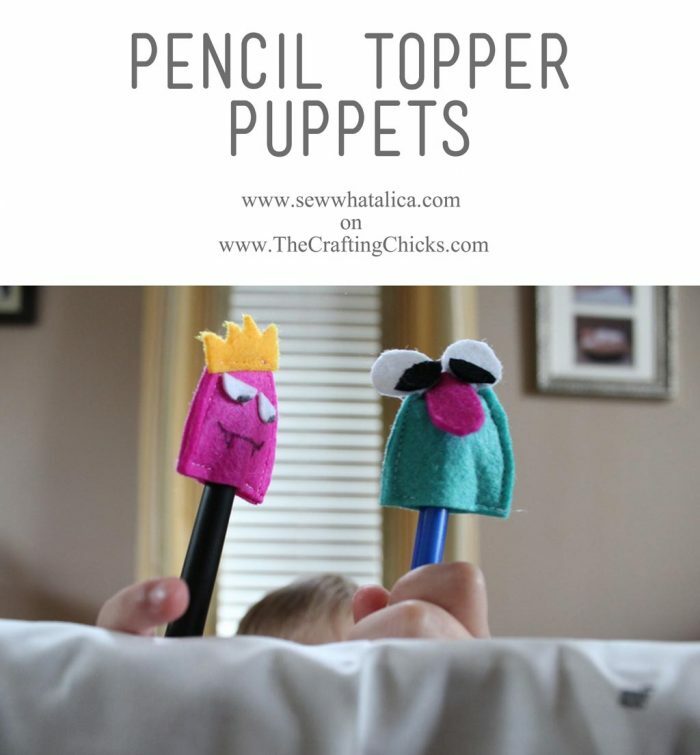 These pencil topper puppets will add a touch of fun to the back to school routine ! And they are fun to make!! Once you have printed and cut the pattern pieces you are all set to trace them onto your felt. 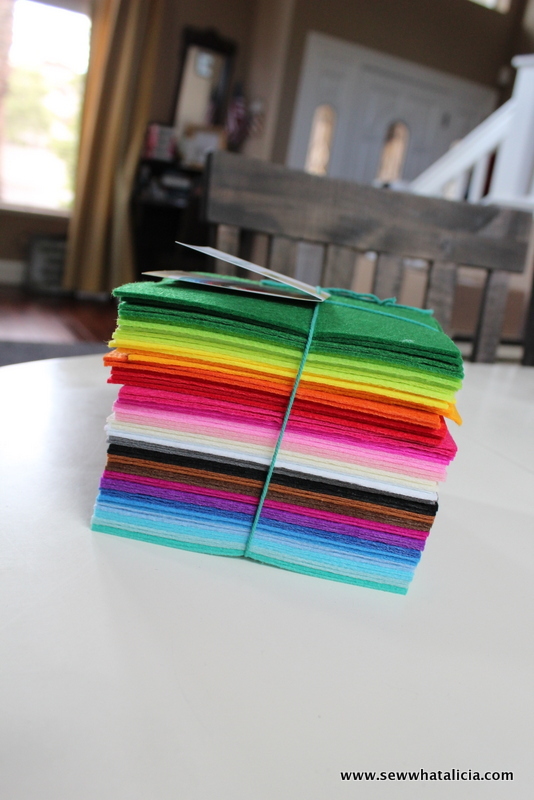 I found this adorable felt bundle at Target. It is stiff and a great size to work with, plus there are so many colors!! Trace the various pieces onto the felt. The eyes, bow ties, and other various pieces that are accessories you will only need to trace and cut once. The main body piece you will cut out twice, because we are going to sew the two body pieces together to create the pocket where you will put the pencil. Sew the face pieces and accessories onto one side of the body first. Then attach the two body pieces, leaving a hole in the bottom for the pencil to fit into. As you can see in the pictures below I used a mix of mediums to finish these little guys. Some of the face I cut out of felt while other parts I drew in with a black marker. You can sew as little or as much as you want and then draw the rest in! If you don’t sew you can still make these. Just use glue instead of your sewing machine, make sure to go just around the edges and leave the middle and bottom open for the pencil. 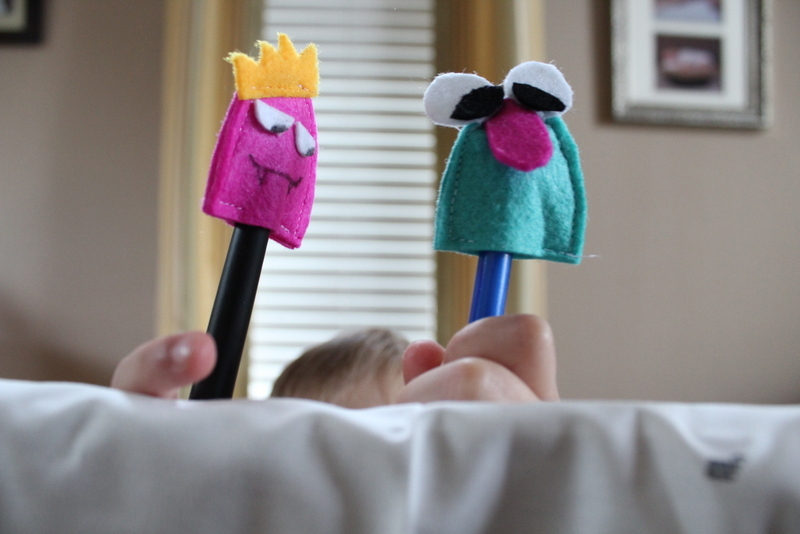 I didn’t even get a chance to attach all the pieces before this one stole them and started his own puppet show! 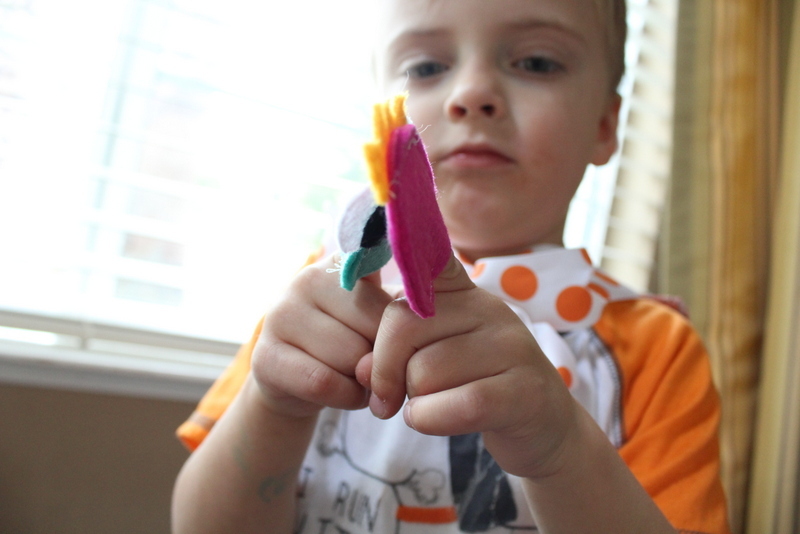 Then he figured out that they also make great finger puppets for little fingers! This would also be a great opportunity to let your kiddo draw their own monsters! 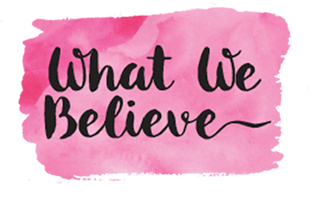 Draw them a template with the basic shape and then let them add details!